The Mackie 1642VLZ4 16-channel delivers the proven performance of Onyx preamps in a compact 4-bus mixer design, perfect for bands, clubs and more. From every input to every output, the Mackie 1642VLZ4 is designed to provide the highest headroom and lowest noise possible for maximum signal integrity. Plus, it is truly “Built-Like-A-Tank” with a ridiculously rugged solid-steel chasis that includes high-contrast controls for ultimate tactile control. 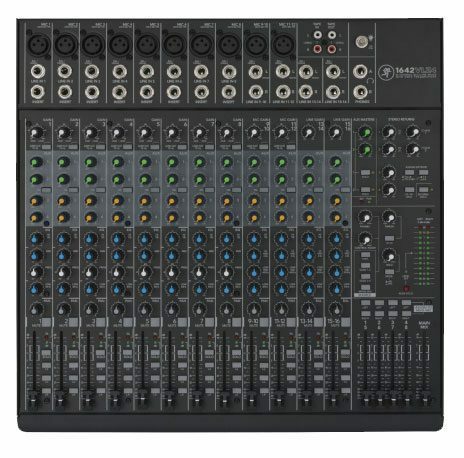 And with features like an expanded return section for no-hassle system integration, plus a dedicated control room section, the Mackie 1642VLZ4 is the go-to mixer choice for any application that demands flexibility and professional performance.